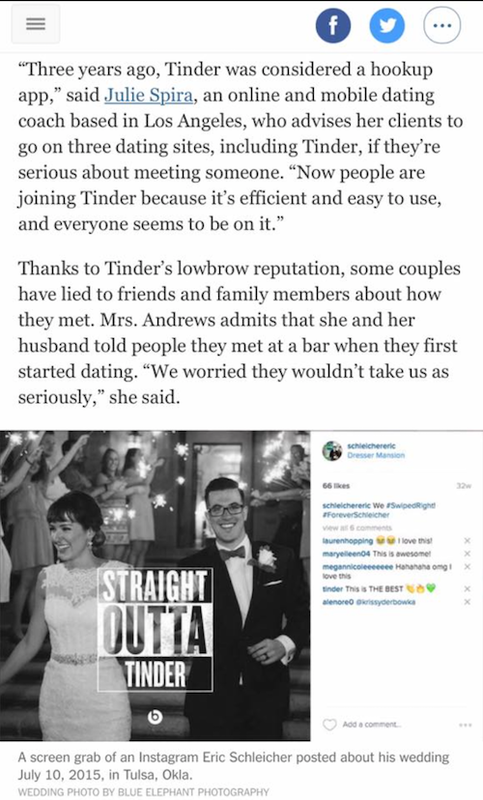 It was an honor and joy to be quoted as the Tinder dating expert in the cover story in the Style section of the New York Times. In the article, The Tinder Dating Pool Isn’t Completely Shallow, I was interviewed by Brooke Lea Foster on the successful couples who are finding love and serious relationships on the mobile dating app, Tinder. Six couples were featured who swiped right and either got engaged or have already gotten married to their Tinder love match. Finding love on Tinder is becoming more common each day. Recently we featured Steph and Mark in our Tinder Love Story feature, as well as Matt and Allee who fell in love after Swiping Right. So if you think Tinder is just for hook ups, think again. Years ago you didn’t tell anyone you were on any online dating site due to the stigma. It was a matter of time before Tinder became mainstream and this feature piece in the New York Times has shown that Tinder’s come a long way baby. It was only a year ago that the New York Times did a feature piece on Tinder for Valentine’s Day, where they asked me to weigh in on the popularity of mobile dating apps. When we created Mobile Dating BootCamp, ahead of the curve in 2012, the Washington Post first broke the story. Even then, the daters were skeptical. So grab your mobile phone, log on several times a day, keep those push notifications coming and be open to the possibilities of finding love from the convenience of your mobile phone. Julie Spira is America’s Top Online Dating and Mobile Dating Expert. She’s the founder of Cyber-Dating Expert and has been coaching singles on finding love online and IRL for over 20 years. Julie’s the author of the bestseller, The Perils of Cyber-Dating: Confessions of a Hopeful Romantic Looking for Love Online (newly revised in 2016 on Kindle and Audible, with bonus dating advice and a new epilogue to help you believe in love). 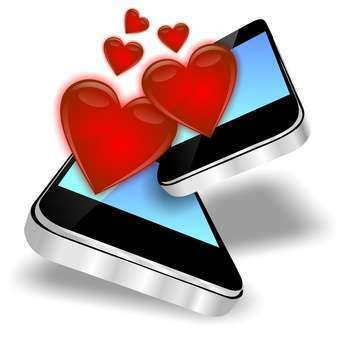 This Valentine’s Day, the media is all a buzz about rise in popularity of mobile dating apps. Recently at the iDate Conference, I presented Tinder with the award of Best Mobile Dating App of 2015. This award was well-deserved, considering two years ago, Tinder wasn’t a household word like Match and eHarmony has been for years for online daters. In an interview with The New York Times, I told reporter Molly Wood that the increase in smartphone usage directly relates to the increase in dating app usage. So how did a perceived hook-up app become the hottest trend for singles looking for love online? 1. They penetrated the college marketplace. These early adopters paved the way for others to jump on the bandwagon. 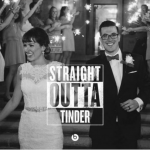 In time, the demographics started to rise and millions of users were playing the Tinder game. 2. They made it easy to create a profile. With no long questions to answer and no profile approval process, all one has to is download the app, connect to Facebook where it pulls your age and photos on Facebook, and add a short bio if you desire, however many ignore filling out the profile. Since Tinder is location-based, once you log on, it searches for potential matches close by. If you travel out of town, you’ll receive a whole new set of matches to make sure you’re not lonely at night. Quite simply, you swipe right if you’re attracted to someone and swipe left if you’re not. If both of you swipe right, then you’re notified that you’re a match and can start communicating in their private chat feature. Online dating and mobile dating are a numbers game. The more often you swipe, the more often you’ll have the opportunity to be matched. At the iDate conference, it was pointed out by Mark Brooks from Courtland Brooks that only 8% of women were swiping right while viewing profiles of men. Men on the other hand were swiping right as often as possible, with the hopes that they can be matched. Tinder reports over 1 billion swipes a day and matches over 12 million people a day. But are they actually meeting IRL? An interesting trend that we are noticing is that a lot of men are posting their age on Tinder as 100 years old. The trend of not honestly stating your age in online dating has been around for years, but to become a centurion on Tinder means you’ll have to change your age on your Facebook profile. There’s no way to change your age on Tinder. Facebook makes it difficult to change your age and discourages this process by limiting the amount of times you can do so. Still, I encourage truth-in-advertising. As I told The New York Times, people who are using Tinder are also using other dating sites, sometimes paying for memberships. Having easy access to lots of different dates actually increases your odds of eventually finding a match. It’s making dates happen a lot more quickly and the more dates you go on, the better daters you become. Let mobile dating apps become your new best friend. Are you swiping right on multiple mobile dating apps? Julie Spira is America’s Top Online Dating Expert and Digital Matchmaker. She was an early adopter of online dating and mobile dating. Julie’s the founder of CyberDatingExpert.com, where they create Irresistible Profiles for singles on the dating scene and host of #DateChat on Twitter on Thursdays at 5pm/PT. Follow @JulieSpira for dating advice and sign up for the free Weekly Flirt newsletter.